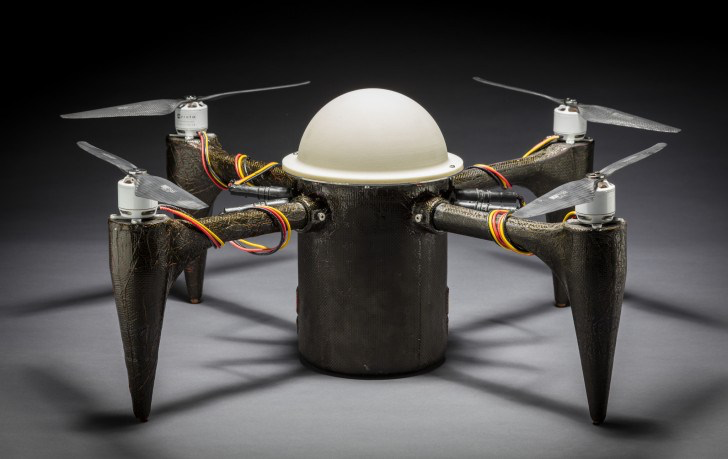 3D Printed Drone that Launches from Underwater #3DThursday #3DPrinting « Adafruit Industries – Makers, hackers, artists, designers and engineers! The drone, which was given the lengthy name of Corrosion Resistant Aerial Covert Unmanned Nautical System (CRACUNS), is a submersible drone that is able to be launched from either an underwater station or vehicle. The APL’s Force Projection Sector team collaborated with fabrication experts from the Research and Exploratory Development Department to help properly engineer the UAV to operate in both air and sea. Though John Hopkins doesn’t go into the precise additive manufacturing technique used to manufacture the CRACUNS, the technology was used alongside novel fabrication techniques to create a lightweight composite frame that was able to withstand the generally harsh “littoral” environment of the ocean.